James was Arthur's father and Christopher was Arthur's Uncle. .Arthur's sister married Alexander Macdonnell and they had Christopher Marmion Macdonnell, Allen Macdonnell, Mary Macdonnell, all of whom migrated to Laredo Texas. Janebrook was named after Arthur's mother Jane Magenis, Jame's wife. 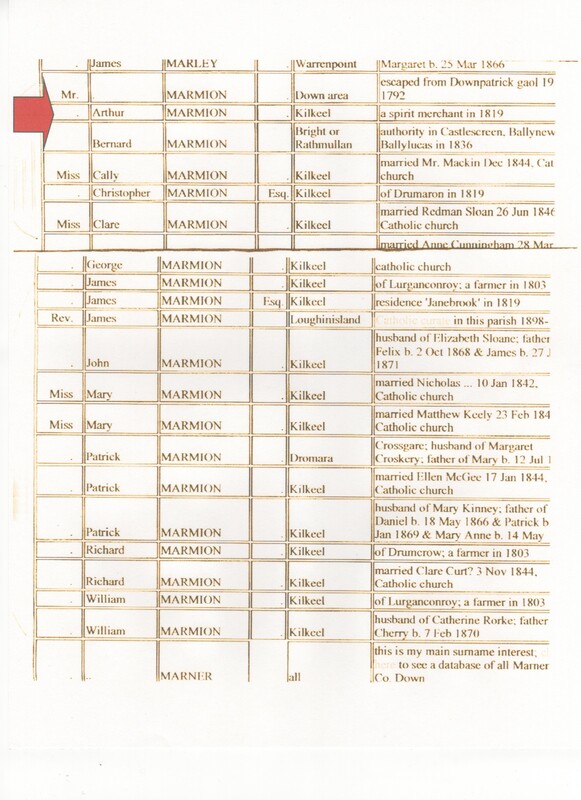 List of Marmion In townland, parish and source. All the Marmions of County Down N. Ireland were related to Arthur...in some manner.